Very nearly a good day today when Top Cop almost hung on to win the finale at Bath (beaten a nose, favourite in the photo). But no damage done thanks to 9/4 (backed into 6/4) winner Treasury Notes in the Hamilton event earlier in the day. There is an interesting 6f sprint at Ayr tomorrow. Two of the runners - Circuitous and Ancient Cross - we backed at 33/1 last time they won. That was way back in September 2013 when on successive days at Ayr they took the Bronze and Silver Cups respectively. I've not backed either horse since. So that's two good examples of why it's a bad idea to favour horses just because they've performed well for you in the past. Both have drawn blanks since those (fondly remembered) victories. Admittedly Ancient Cross ran very well LTO and could finally win again tomorrow. Likely to be more involved on Wednesday. If I have any money left (!) I might have a couple of bets at Chelmsford. Will post around 17:00 if I do. Some Ripon action around 11am. Two frustrating days. Total of 13 selections. Just two winners and one place (w 6/1 (10p r4), w 5/2 (5p r4), p 28/1 (5p r4)). Plus two non-runners. Nevertheless marginal profit over the two days of about one point! Is it worth it? A bit unfortunate yesterday as I was travelling for a fair part of the day and would definitely have blogged the winner of the 15:30P had I known my first choice was a NR. No big deal as best price was 9/4. The wet weather has increased the level of non-runners making early selections difficult. At Goodwood, for example, the 16:55 was reduced from 14 to nine runners which changed the whole shape of the race. Don't think I would have backed the winner of this particular race with more going to post though. Price also available with "sporting"bet. No further bets for today but will probably get involved in Saturday racing either early tonight or before 10 am tomorrow. On 21 October last year I backed Pelle to be PL TGS after he had notched six Premiership goals. Shortly after this he went on a scoreless run of something like 12 or 13 matches. He seemed to lose completely all confidence. He recovered slightly late in the season to finish 10th= in the scorers' table on 12 goals. Too little too late. This season he has started well. Four goals in six matches including the two against Man U today. Southampton, despite losing today, seem to be getting their act together as well. As soon as the 16:00 matches concluded I visited Oddschecker to see how the books priced his chances. Fred went 40/1 so I had some of that. He then went 33/1 so I pressed up. Fred is now 25/1. Don't be thinking that these were large bets. I no longer am allowed sizeable bets with any bookmaker and therefore consider myself in a winding down phase. Is there a guitarist in the house? Very few bookmakers offering five places on Ayr's feature race. PP, Fred and WH are, for example, only betting four places as I write. This is a William Hill sponsored race! You may not be interested in my views on the above race following today's ten point loss spread over three tracks. A very poor day for the blog. The Ayr meeting was extremely profitable for us in both 2014 and 2013. Indeed I backed and blogged the winners of the last two Bronze Cups: Expose @ 16/1 (10p r4) and Circuitous @ 33/1. I get the feeling it's not going to be quite so easy this year. I have read various articles about the course being 'set up differently this year' without any explanation of what that might actually mean. The old boy is difficult to win with but could be in the shake up. I'll take a look at the rest of the racing in the morning. Good luck if you get involved. A very messy day with numerous non-runners. Sandown eight non-runners to reduce the 13:45 field to just nine. Selections finished second and third. Maybe it's after timing but I would not have suggested backing both 7/2 and 9/2 shots in this race - effectively a 6/4 chance combined. Not my style. At Beverley just eight of the original 15 ran. Fortunately Keep It Dark won the race albeit with a large rule four deduction to my bet: 8/1 became 5.48/1. So the 1.5pt win bet yielded a return of 9.72 points. Small profit on the day of 2.52 points. Possibilities at Ayr, Ponte and CC tomorrow. May post something later tonight. 4 x 0.3pt win doubles above selections at Coral prices. Somehow managed to make a small profit on the outright market last season with Juventus contesting the final (advised @ 28/1 ew, two selections). The fact that BT Sport has provided me with all the live coverage of the event should, I suppose, be an extra incentive to have a bet. However I seldom watch football on TV as I find it rather boring most of the time. I must have ADD or something. Available at 20/1 with a few firms as I write. No horse racing bets are anticipated until Wednesday at the earliest. In Salutem race comments: "Tracked leaders, 6th from halfway, improved and not much room under 2f out, headway 1f out and hampered rivals, 2nd inside final furlong, no impression when slightly tight for room close home, finished 2nd, disqualified"
Anyway the upshot is: three points staked, six points return. Another bet or two in the next hour. You can't get much closer without cleaning up! Played the best tennis I've seen her play in one of the finest ladies' matches ever at the U.S. Open. Hits 45 winners, saves five match points. Hoping Mladenovic can extend her run tonight against Makarova. Just a couple of speculative bets today: the "British" player Konta could continue her winning streak against two-time Wimbledon champion Kvitova. That is if the Czech has one of her off days and/or it's very hot tomorrow. 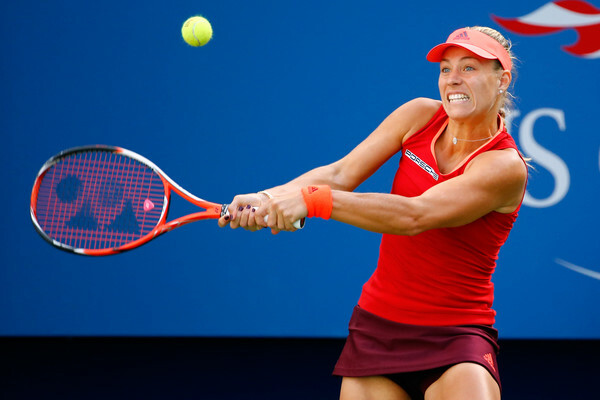 Mladenovic is now a best priced 100/30 to reach the semi-final having been 25/1 at the outset. So a chance of a decent pick-up but two more wins are required. Plays Makarova next who beat her narrowly in three sets on clay earlier this year. In the other match a rejuvenated Bouchard plays Vinci. The latter easily beat the former world number five at New Haven in August but that was before the Canadian linked up with Jimmy Connors. This has brought about a remarkable change in form and confidence. Bouchard won a very high quality match against the plucky Cibulkova last night and if she recovers from that could reverse the form with Vinci.